Wow, this is very useful! Thanks! Attention! 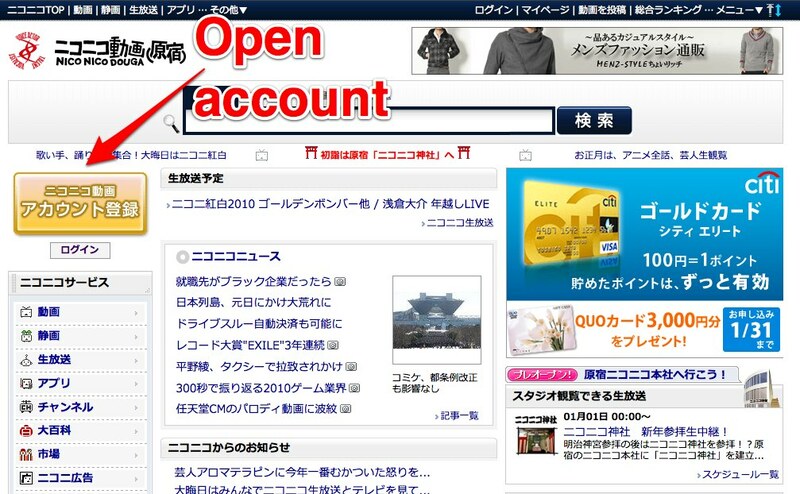 Nicovideo has some cosmetic changes, but it allows Hotmail. It’s not letting me get an account! After I click confirm on screen 4 it goes back to screen 1! Why? I’m entering my gmail account and everything! Hmmm, can I ask something? 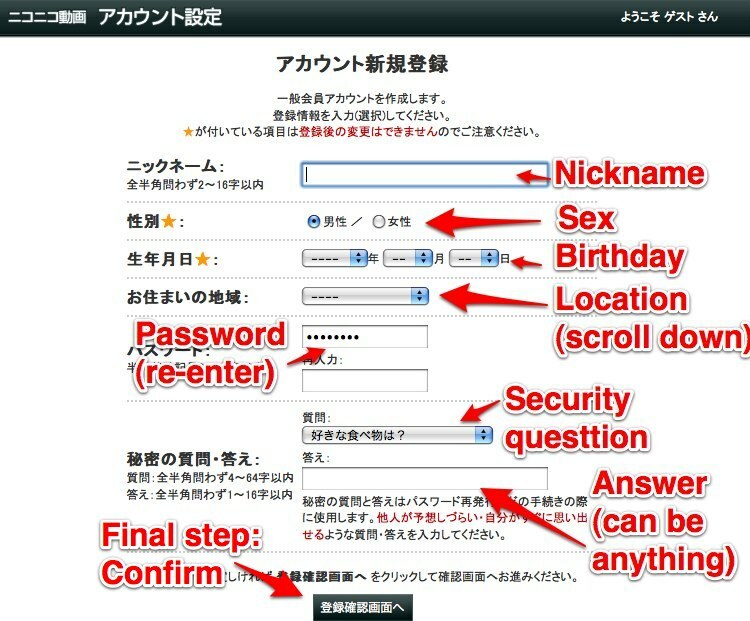 Seems like I can’t get to anywhere from step2/screen4, I assume it because it missed something and it would probably the security question. Does it require something? And the button in screen4 looks different, but nevermind I figure which one to click. 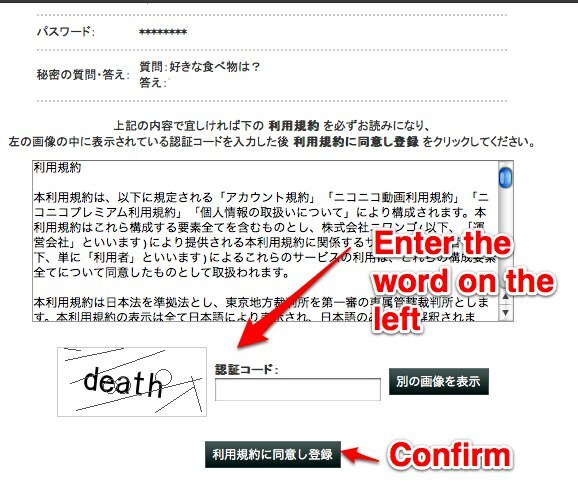 I checked the registration form and it seems okay (Firefox 3.6, Windows XP). If you see some error messages just above the nickname field(the first box), you might leave some fields invalid. The security question can be anything. Nickname has length check(2 to 16 letters), password is 8 to 16 digits/numbers and location is must. The description of the video, which you can view by clicking a link to expand, will show a link to download site. 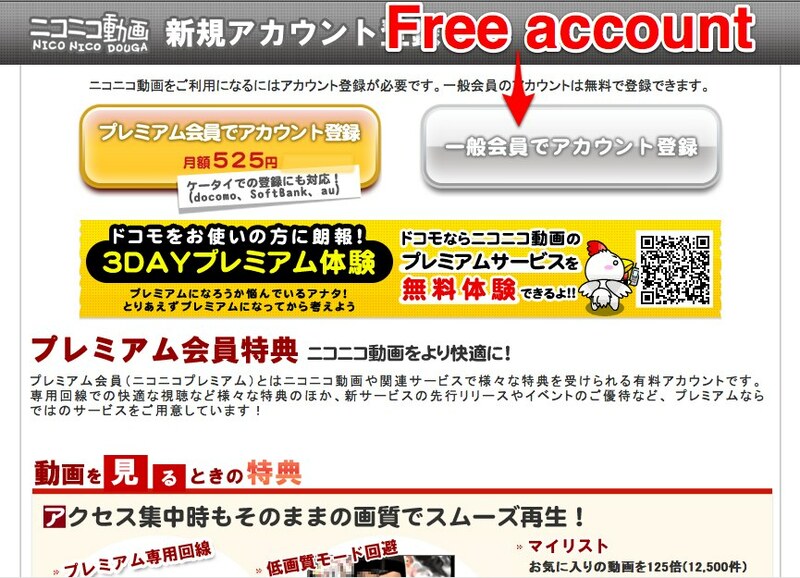 This URL became invalid because of expiration(24 hours) or already completed registration. If you consider it is already expired (24 hours), please restart the procedure from the first page. Have you checked if you are already registered? i.e. tried to log in? I have an acount, but now I can´t log in! Um I just went ahead and tried to use the facebook log in thing and I got through all the registration steps like my password and secret questions but now I’m on a page where it’s asking me for my money. Can anyone help me out.? If you are an registered user, play the video and type your comment in a box at the bottom of the video player, then press the orange button besides it. It is unsure if the uploader will notice the comment, though. Good luck. Google Chrome automatically translates everything that is text. umm…this is a good guide and it helped me but i was wondering if you knew how to watch live broadcasts on the iphone app??? There is an official free iPhone app for Japanese app store. changing /jp/ to /us/ does not show the US market page so you may need iTunes’ Japan account to get it. How do I get the videos to run on android? Everytime the video begins to load, it crashes my browser.